No wait, hear me out! On our way to the museum we were all in a terrible mood after hours of van time in the middle of nowhere and were like “why are we going here?” “What are we doing? ?” “I don’t care about spam!! 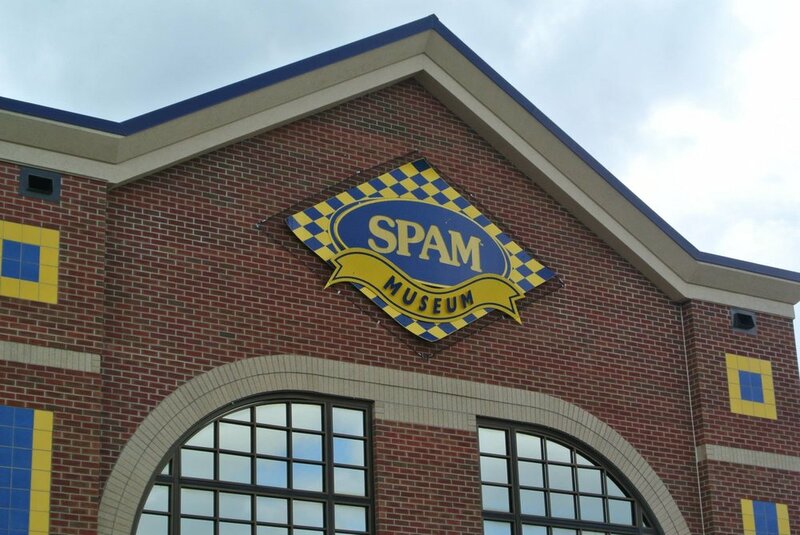 !” Then we arrived….it was the funniest place I’ve been in a long time but it was also very educational; did you know that over 6billion cans of Spam are currently being produced. For those who don’t know spam is a canned meat made from pig parts and secret spices…it was originally a way to feed thousands during the war. Inside there is a towering wall of 3,390 cans of SPAM rising to the ceiling and SPAMburger Alley with giant patty lining the ceiling. There is also a theatre which shows a 15minute spam video for your viewing pleasure (unfortunately i did not watch this video…) There are Spambassadors who act as guides around the museum. There was a Spam exam, make your own spam, revolving Spams, Spam on a sofa, truly it was Spamtastic! Cedar point is a 364 acre amusement park in Sandusky Ohio which opened in 1870 and named itself “America’s roller coaster.” Cedar point is more for the thrill seekers as the park can boast that it has some of the fastest and largest roller coasters in the area with rides like the gatekeeper, the screamer, magnum XL-200 and the top thrill dragster. The park also offers a skylight pass which allows you to ride the rides off peak 5 until 10pm. Once the rides closes the park becomes a show with lots of light, fireworks, music and great performances. I recommend going for the evening and staying for the show! 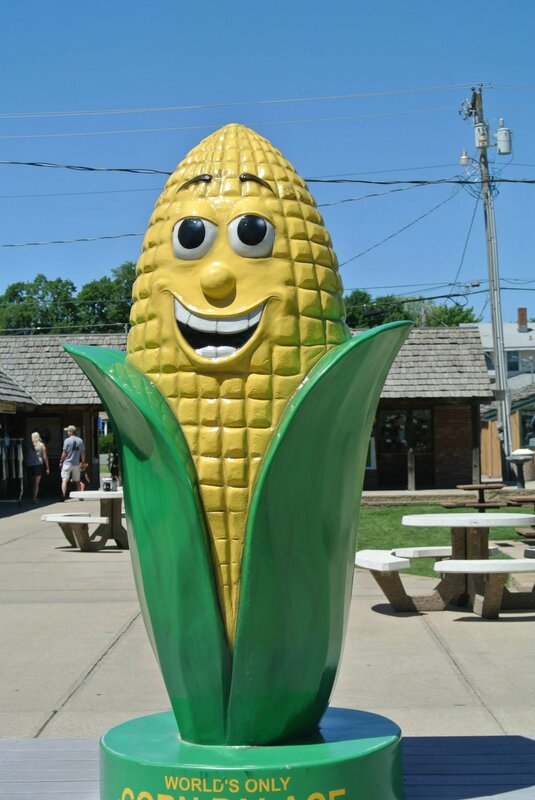 Yes I am talking about the jolly green giant we all know and love from the sweetcorn adverts…In blue Earth Minnesota he stands to guard the vegetables at 55.5 feet with size 78 shoes. The giant has been there since 1979 and was original built when interstate 90 was built and townsfolk worried that it would draw travellers away from their lovely town. The statue also spawned the “giant museum” and the “giant festival” held yearly. 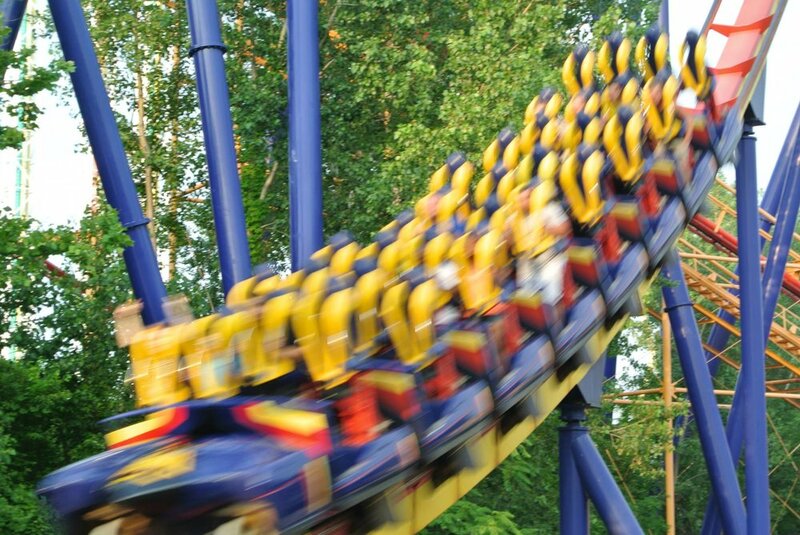 You can also take some great snapshots between the giants legs, take that how you will…. The Corn Palace, commonly advertised as The World's Only Corn Palace and the Mitchell Corn Palace, is a multi-purpose arena/facility located in South Dakota. The Corn Palace serves the community as a venue for concerts, sports events, exhibits and other community events. Each year, the Corn Palace is celebrated with a citywide festival, the Corn Palace Festival. Historically it was held at harvest time in September, but recently it has been held at the end of August. Other popular annual events include the Corn Palace Stampede Rodeo in July and the Corn Palace Polka Festival in September. It is also home to the Dakota Wesleyan University Tigers and the Mitchell High School Kernels basketball teams.